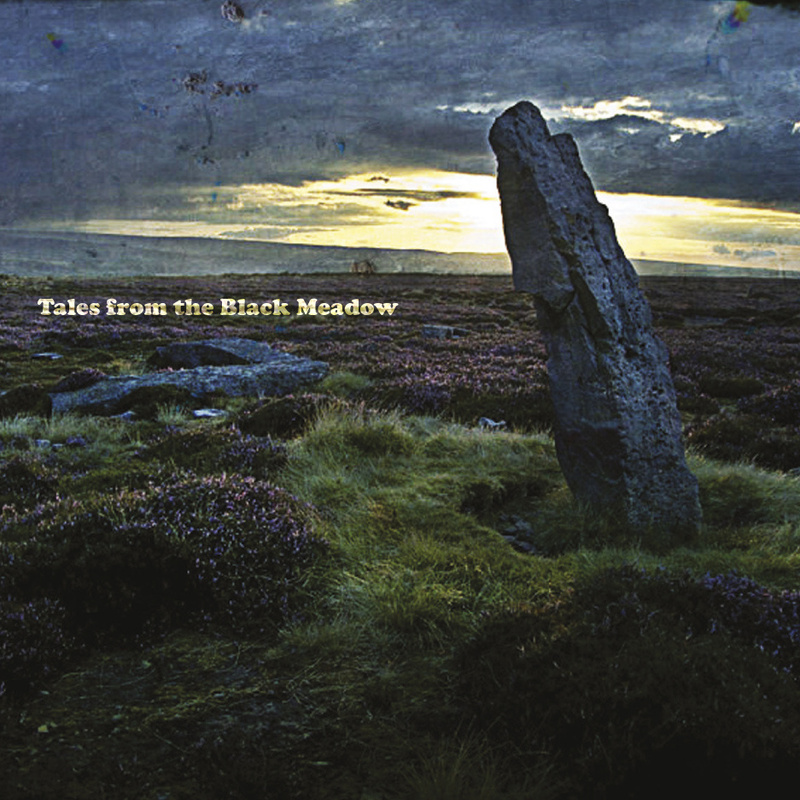 Tales from the Black Meadow is a multi-media folk horror project. It mixes folk stories, song, music, documentary, film, illustration, web sites, physical artefacts and much more. 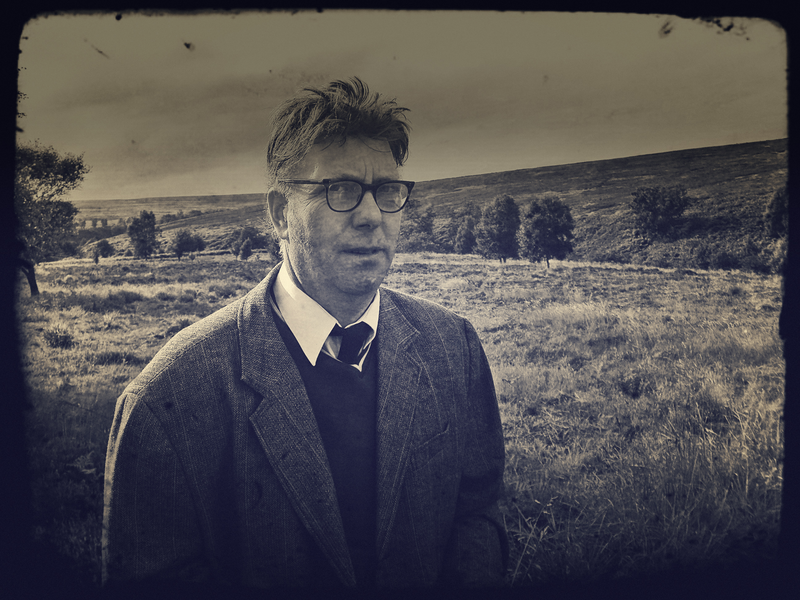 The book Tales from the Black Meadow explores the mysteries surrounding the Black Meadow on the North York Moors. A place of inexplicable occurrences, strange traditions and disappearances. It is accompanied by a CD of the same name by “The Soulless Party” which contains music to be listened to alongside the tales as well as a lost Radio 4 documentary “Curse of the Black Meadow”. Walk upon the fields of men? Collected by Sir Stanley Coulton, this is just one example of the rich folklore that permeates throughout Black Meadow. Located on the North York Moors this is a place of strange phenomena, bizarre traditions, disappearances and folklore. It is a place in which you could find yourself lost in time, engulfed by mist, at the whim of a Meadow Hag or transformed into a horseman. Be wary. This is all utterly true. Every word of it. This telegram reveals even more. 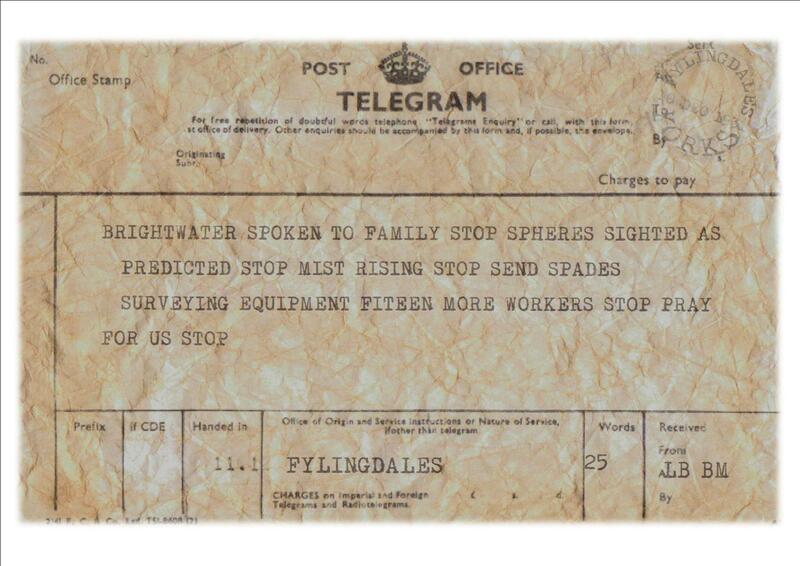 A recent telegram taken from the archive reveals the strain and possible danger that the Brightwater team faced on a daily basis. It frustratingly opens up further questions rather than answers. Who are the family to whom this refers? Why do they need 15 more workers and spades? What is the surveying equipment for? Note the reference to the “mist rising”. Is this code? Surely a mist is so inconsequential as to not need mentioning in a telegram. And for a member of this scientific team to ask for prayer, a team lead by outspoken atheist Lord Brightwater is strange indeed. The key question for those searching through the archive is to find the identities of members of Brightwater’s team. Who wrote this? What was happening on the 10th December 1931? Roger Mullins disappeared into the mist in 1972. It was the tales of disappearances that drew him there. 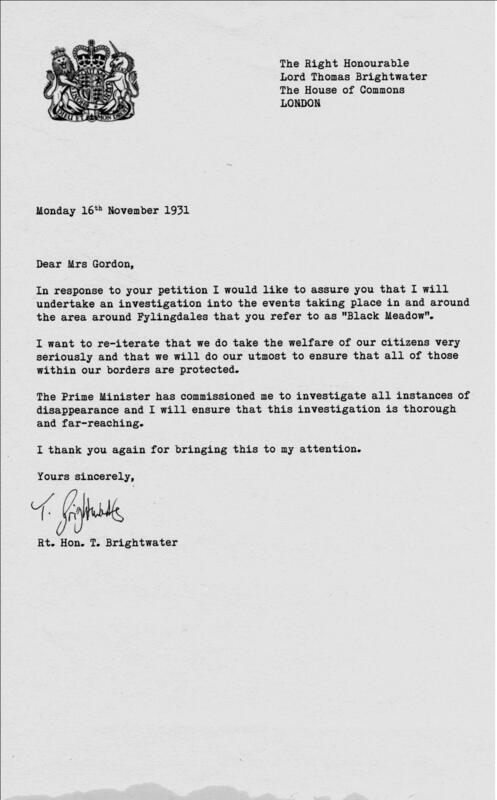 Investigated by Lord Brightwater in the 1930s and then (after the government shut that investigation down) explored by Mullins through the 1960s the Black Meadow revealed further secrets rather than answers. The all-pervading mist covering everything and creating more mystery within. The area known as “Black Meadow” is located on the North York Moors just off the Whiteway Heads Road in a site fenced off by the Ministry of Defence. You will need to be very careful though. Make sure that you inform someone where you are going, take a mobile phone and stay out of the mist. You can buy the charity album inspired by the book. It contains songs by Folk Horror artists and all proceeds go to cancer research.